This lovely pewter medallion features three interlocking Celtic horses. 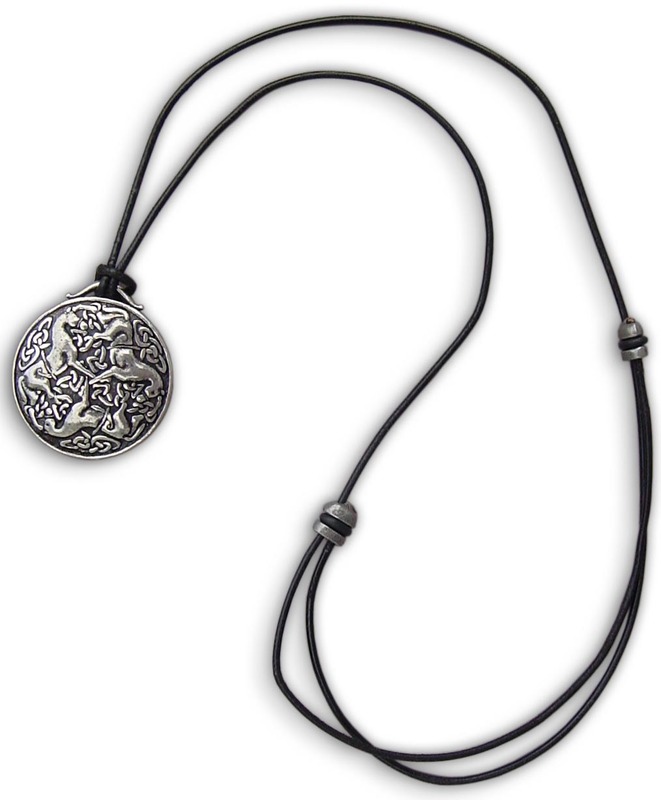 It's 1 1/4" wide, is hand-cast in USA of 100% lead-free pewter, and strung on a smooth leather cord with ingenious adjustment buttons that let you choose the exact length in a jiffy. Adjusts from about 16" to 26". No fasteners to struggle with - beautiful and comfortable.